Originally it was thought that the city’s residents had escaped because hardly any skeletons were found. But in the 1980s, excavations of old boat chambers found remains of 300 bodies where people had been waiting to be rescued. Despite being sheltered from the ash, the 500°C heat had killed them instantly. After the first eruption, five more flows covered the city with a layer of rock and ash 25 metres deep. It formed an airtight seal that preserved it for the next 1700 years. The new town of Ercolano grew up over the top, and the ruins were only rediscovered in the 18th century when someone drilling a well hit a building rather than water. 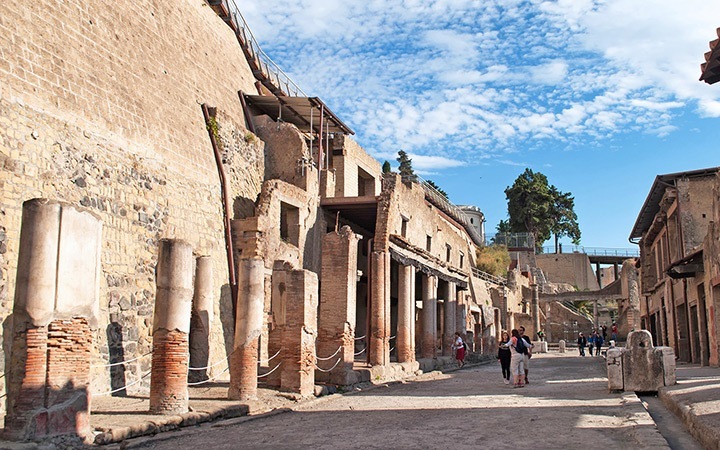 The first excavations of Herculaneum focused on retrieving buried valuables to sell rather than preserving the ruins. Then when Pompeii was discovered the focus shifted there instead – not least because it was covered in only four metres of ash so was much easier to excavate. Digging only restarted in Herculaneum in the 20th century and there is still a whole lot more that’s waiting to be uncovered. But for now the focus is on protecting the current ruins from damage rather than uncovering new ones. The difference in the way that Pompeii and Herculaneum were destroyed has had a big effect on what you can see today. At Herculaneum the flows surrounded and filled the buildings but kept them in tact, whereas at Pompeii the weight of the ash crushed many buildings. The heat of the pyroclastic flows also carbonised the wood at Herculaneum so some of the original doors, roof beams and even furniture has been discovered. Add to that the fact that Herculaneum was a richer city than Pompeii, with larger, more ornate buildings complete with mosaics and marble cladding, and you get even more impressive ruins. 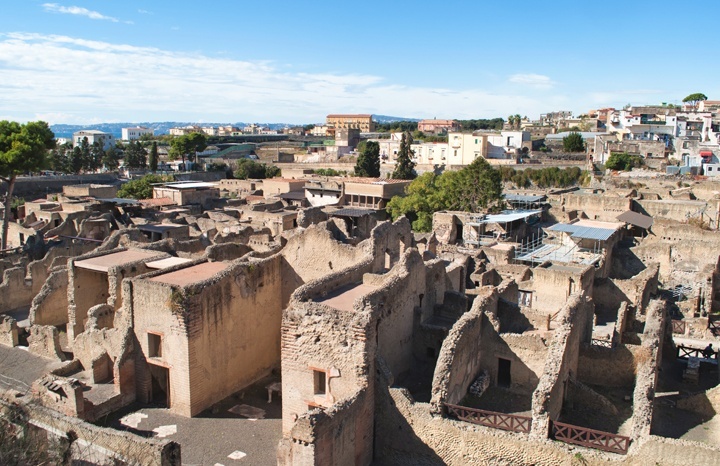 The old city of Herculaneum lies about 50 feet below the level of modern Ercolano, so when you arrive your first sight is of the ruins is from above, with Vesuvius looming in the distance behind them. As you walk through the streets, some buildings are so well-preserved that it’s hard to believe they’re over 2000 years old. Many still have their original floors and stairs, and even their decorative statues, frescoes and mosaics. 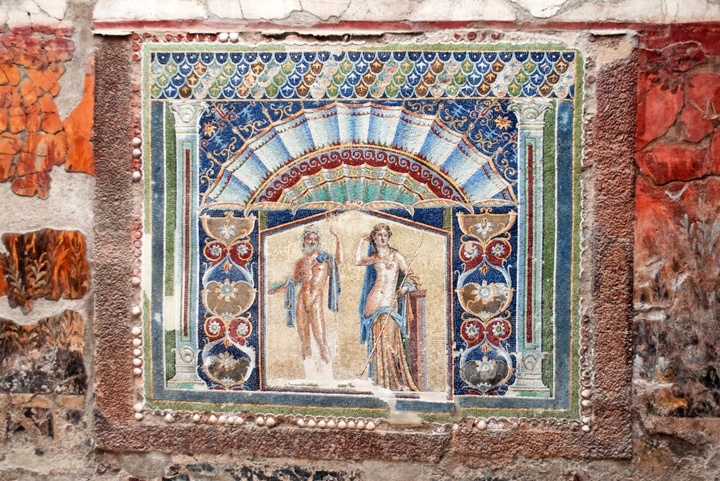 In what was the dining room of house number 22 you can see one of the most beautiful mosaics showing the gods Neptune and Amphitrite. But overlooking it all are the balconies of modern houses and people going about their everyday lives – with the city of today coexisting with the ghost city beneath them. Getting to Herculaneum: Herculaneum is about 12km south of Naples. There is parking outside the ruins (follow the signs for Ercolano Scavi) or it’s 10 minutes’ walk to the Circumvesuviana train station, which runs between Naples and Sorrento. There are two train stations in Herculaneum, the one for the ruins is Ercolano Scavi. 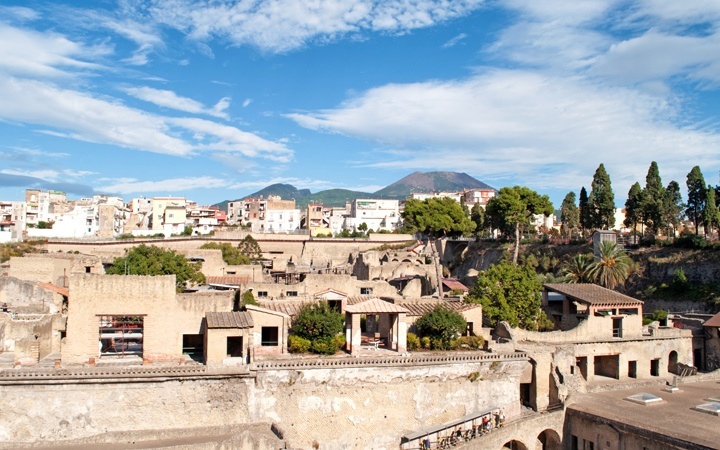 There are also combined tours of Herculaneum and Pompeii/Vesuvius, which include transport. Opening hours: The Herculaneum archaeological site is open from 8.30am to 7.30pm from April–October or 5pm from November–March, with the last admission 90 minutes before closing time. Herculaneum tickets: You can buy tickets to Herculaneum online, though you need to choose a specific date. 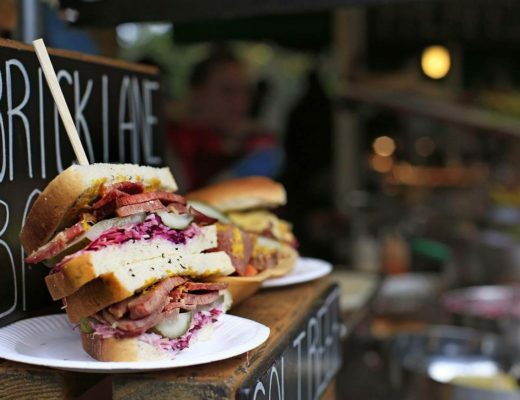 Entry costs €11 for adults, €5.50 for EU citizens aged 18–24 or free for EU citizens under 18. You can also get a three-day combined ticket which also covers Pompeii, Oplontis, Stabiae and Boscoreale for €22, though it’s not available online. There are also skip-the-line priority tickets if you don’t want to queue. It really was – such an interesting story and a window into Roman life! I’ve been to Pompeii but unfortunately we didn’t make it to Herculaneum. I was really disappointed that we didn’t have the time because I studied Ancient History for my degree and learned all about the skeletons that were recovered from Herculaneum and what they can tell us about the lives of those people. Thanks for the detailed post – it was really interesting. Thanks, it was very interesting about the skeletons and how recently they were found – does make you wonder what else is still there to be discovered. Hope you get to make the trip to Herculaneum yourself one day! I have been to Pompeii a couple of times. Clearly I need to go back and visit Herculaneum. 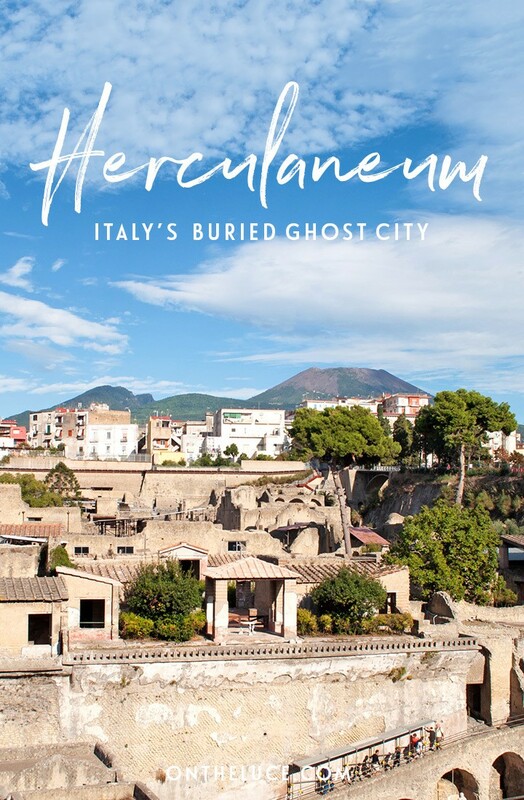 Both are fascinating but I did like the fact that Herculaneum was smaller and a lot quieter – though apparently the other related but less famous ruins at Oplontis, Stabiae and Boscoreale are the place to go if you want them to yourselves! 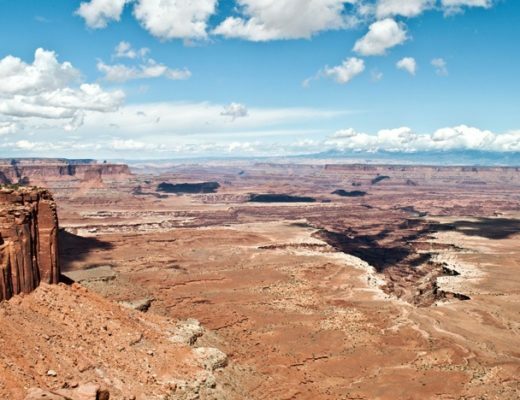 It’s a really interesting place to visit – hope you get to make the trip someday! I just discovered your blog today, so refreshing! I also have a passion for travel and wish I could do it more often. Looking forward to reading more about your adventures! Thanks so much, great to have you following along! Is this as crowded as Pompeii? My family is planning a trip to Southern Italy next year and I know Pompeii is a big tourist destination. It sounds like Herculaneum is really neat and if there are less people there, even better! Herculaneum is quite a bit smaller than Pompeii but it does get a lot less visitors – it felt a quieter while we were there, though you could usually find a quiet spot in Pompeii if you went away from the most popular spots. 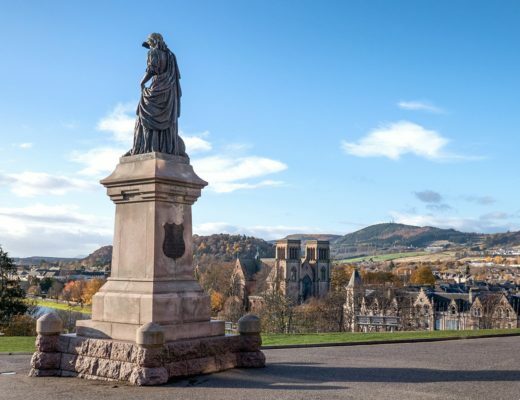 It was interesting reading a bit more about how it was destroyed and then uncovered, and strange to think how much more is still buried underneath the new town! That area just south of Naples is packed with things to do – Pompeii, Herculaneum, Vesuvius, Sorrento, Capri and the Amalfi Coast – easy to spend a week or two there and no chance of running out of things to do! Another fantastic post! I studied Herculaneum and Pompeii at university, so it was great to refresh my memory of their history in this post. I passed Herculaneum on my way to Pompeii last year but unfortunately didn’t have enough time to go visit – next time, though! 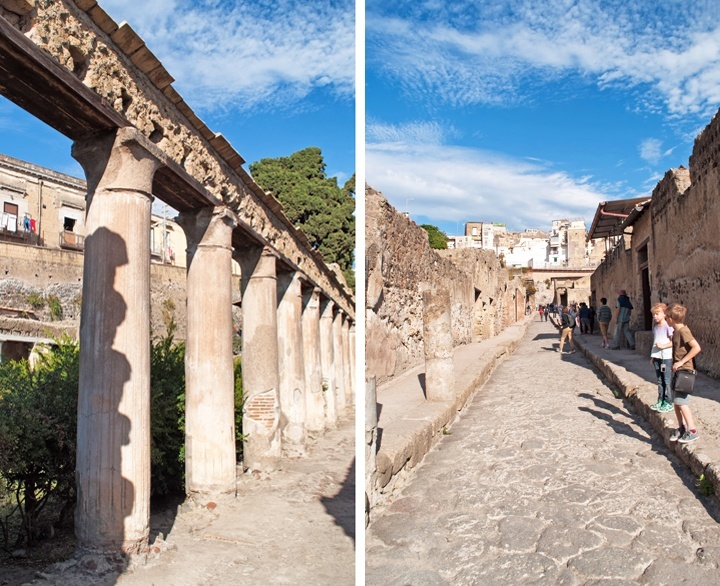 My first trip I did the same – passed Herculaneum after Pompeii and wanted to visit there too! So was glad to make it there this time around. 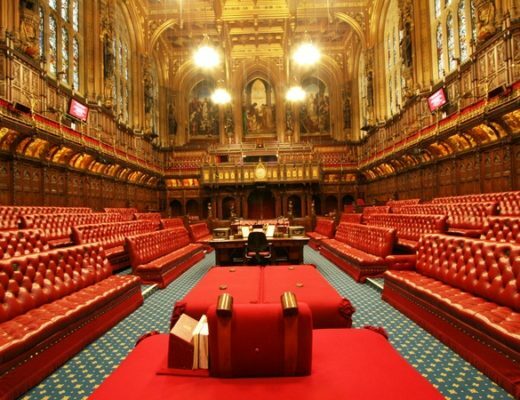 Must be amazing to see it if you have studied it too and learnt all about the history. I’ve been to Pompeii and was absolutely blown away. I’m sorry I didn’t make it to Herculaneum while I was in the region. I never knew the story of Herculaneum; now that I do, it’s fascinating. I hope to see it one day. Nicely done! 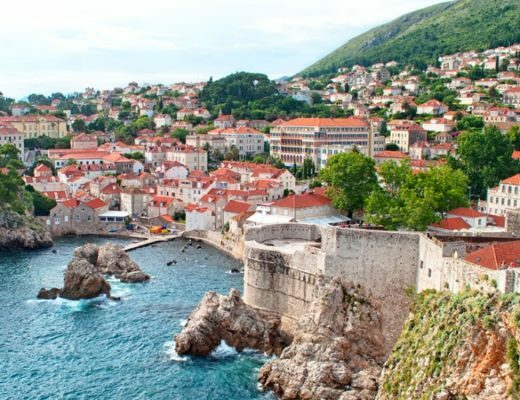 Thanks, they are both such interesting places, it’s amazing to get such an insight into what life was like thousands of years ago – you can almost picture it as you walk around the streets! PS: I’m loving your blog! 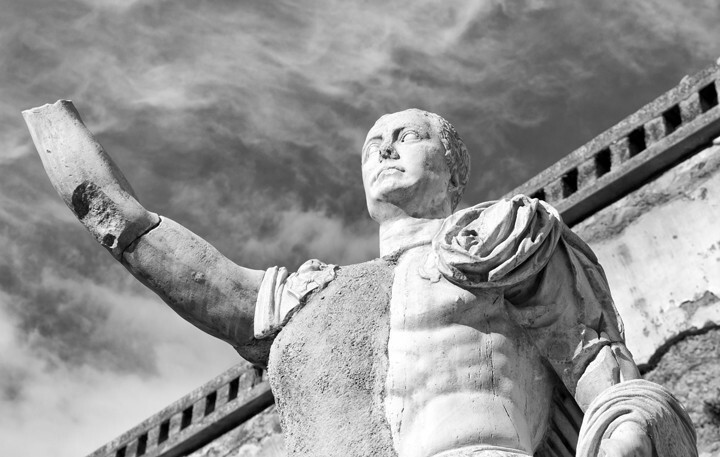 Thanks so much – Herculaneum is really interesting, well worth the visit if you get the chance. Super post and love the comments. My travel to this area was by a cruise ship. We took a trip to the Naples Museum first, there is a model of Pompeii which helped to understand the size. The museum has artifacts from both sites. Well worth your time exploring before the trip to either site. 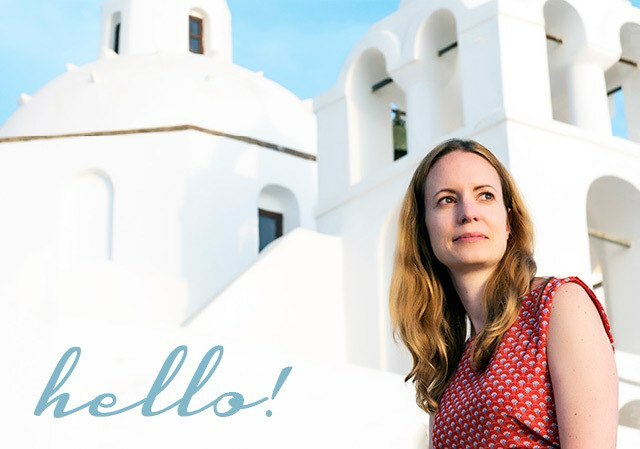 Thanks Gail – I haven’t visited the Naples Museum yet but that’s definitely on the list for next time I’m in the area! I think Naples has to have some of the scariest driving in the world! I’d like to go back and see the museum though. Loved Sorrento both times I’ve visited and agree that Herculaneum was a favourite, I think the scale of it was so much more manageable and it really came to life for me. I really want to go there and see the mosaics. Wow, that is really cool. Like everyone else, I have heard of Pompeii. But I have never heard of Herculaneum. What happened to the city and especially to the 300 people who didn’t manage to escape is really horrible. But it’s cool that the heat wave that wiped it out left everything intact so that it is still possible to not just see buildings but even mosaics and furniture. Having grown up in a region in which the Romans had several settlements (my neighbour tried to build a new house and everything was delayed by a year because they found Roman remains and had to excavate them first before he could go on) I have seen lots of remains. But most of the time, they have been destroyed and plundered. I would love to go to Herculaneum, because it sounds as if it’s very different from the broken pillars that I am used to. 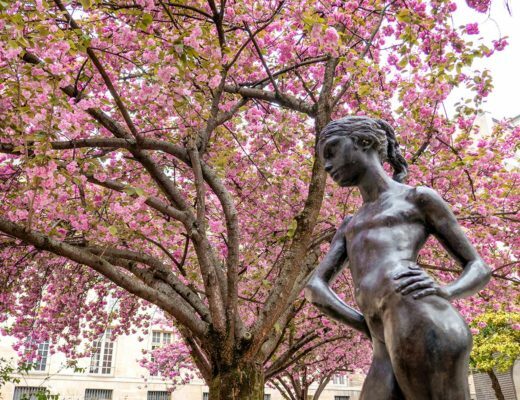 Cool post and thank you for making me aware of this really cool tourist attraction! So glad to introduce you to such a fascinating place! How amazing to just find Roman remains outside your house too. Hope you enjoy it – that’s one of my favourite regions on the world!